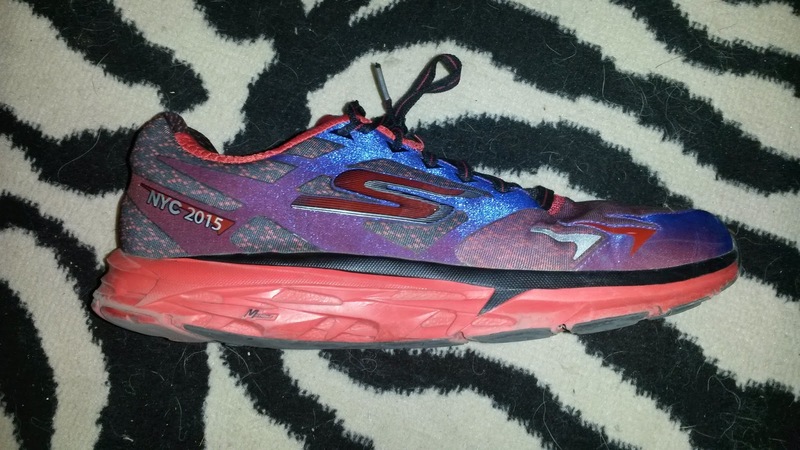 Despite the Forza having quite a bit of midsole, the ride is on the firmer side of cushioned. I never felt like my foot was sinking into the shoe and despite the heavier weight felt pretty good responsiveness-wise during strides. There is plenty of sole and I always felt like I had plenty of protection for any distance. As I mentioned earlier, the outsole is one of the most durable of any shoe. The photo posted is at over 300 miles and for that mileage the Forza is holding up amazingly well. 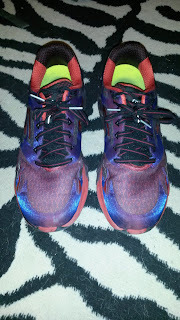 I would expect to get another 300 miles out of this shoe, but I have retired them due to my 300-400 mile rule (that and I have a pair of Hoka Infinite I am getting mileage on for a review) as an injury prevention method (different people will be able to get different amounts of mileage out of shoes). There is fairly minimal wear on the lateral heel and forefoot and the shoe does not feel dead at all. 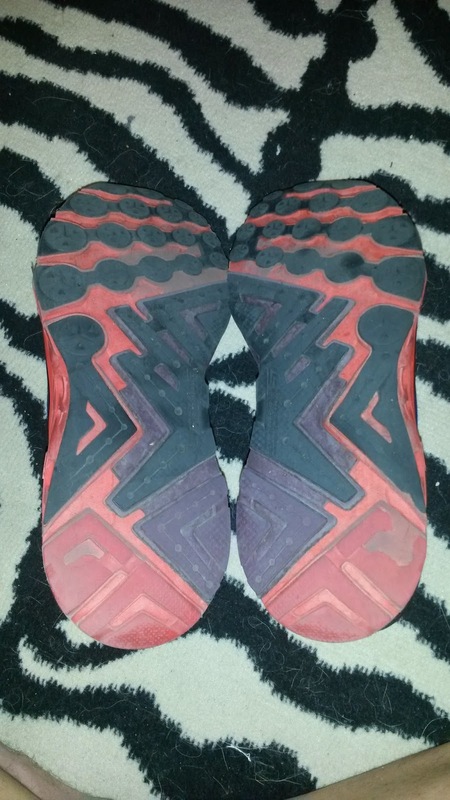 My only issue is that at around ~150 miles the medial support post began to separate from the midsole at the forefoot, but issue did not progress and has not affected the ride as far as I know (and may have been due to me leaving them in my hot car during the day in Southern California). 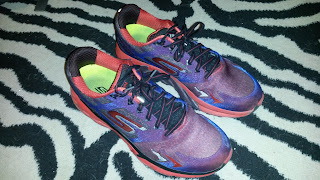 In terms of the ride, it is fairly smooth with the classic Skechers Performance midfoot bump present but not excessive. The heel does feel fairly bulky and built up in this shoe compared to the forefoot (despite a measured 8mm drop). That is slightly offset by the mild midfoot bump but still can take some getting used to. This is in contrast to the Strada, that had a very balanced forefoot/heel. All that being said, the slight rocker and bump make the shoe's ride VERY smooth and the bump definitely helps move the footstrike forward. Finally we get to the posting. Skechers does this differently than most and I think it is very effective in certain ways. Their approach to stability is using firmer Resalyte foam along the medial midsole to slow the inward roll of the foot. That sounds similar to other companies (slightly firmer midsole as posting) but where they diverge is having posting the runs almost the full length of the medial midsole and it is shaped like the arch. Upon trying the Forza on for the first time, I actually did not feel the support very much while walking. During the first run I noticed it a little, but mostly felt like my entire foot was kept stable without being jammed in a certain direction The support is more along the lines of mild to medium support, so those with extreme stability needs may not find enough. I personally found it to work with my foot very well. The GoRun Forza has good room throughout the shoe as do most Skechers shoe. However, the upper is a bit bulky/heavy. The forefoot especially has very thick overlays which give it a narrower fit compared to other Skechers Performance shoes. It still has plenty of room for normal width feet and should not be a problem for most. The heel collar is very well padded and although there is a heel counter, there is plenty of cushioning around it that I have never noticed it. While the upper is quite heavy, it has been extremely durable. Like the sole, I have not seen ANY wear and tear after +300 miles. I do think Skechers could take a decent amount of weight off of this shoe by slimming down the upper. It does the job well of holding the foot and being durable, but it is definitely on the thick side. The GoRun Forza feels like it wants to be a fast shoe but is weighed down by it's excessive ~11oz weight. I have mostly used this shoe for easy runs and long easy miles and the few times I used them for shorter workouts my legs were quickly weighed down. The ride is definitely on the firmer end (not harsh) and feels like it has the potential to be fast. However, the excess weight can make them feel a bit sluggish, especially during the first miles of a run. For that reason, I have elected to do my recent shorter recovery runs (3-4 miles instead of my normal 9-10) in lightweight trainers or racers. Once you warm up they are mostly fine and this may speak more to the fact that I need to spend more time doing a thorough warm-up before my run. 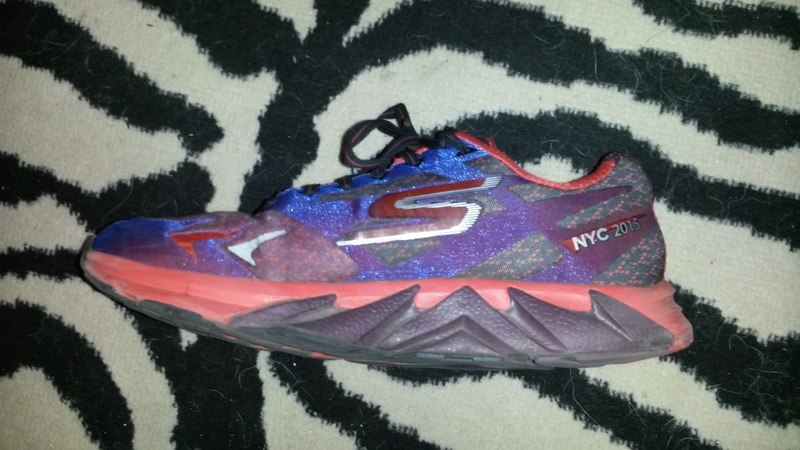 I have to give kudos to Skechers for the attempt and execution of their first stability model. This is one of the few times I have seen a company design the support even remotely like the arch instead of a rigid rectangular block of second density foam that I can remember! Nike is the other company I have seen doe this in the arch of the newer Structure models and I have been happy with the full length support in the recent Odyssey. Altra also comes close with their tripod support system set up to mimic the 3 main points of contact of the foot: the calcaneus, 1st metarasal and 5th metarsal along with a full length wedge support system. However, I found Nike to be too rigid and Altra still needing to work on the wedge design (they're getting close!) As for Skechers, I have very happy that they went with a support design that actually mimics the arch of the foot in a dome shape and using full length system. The arch does not always collapse at one single part of the foot. There are a huge number of joints and muscles in the foot and ankle and any one of them can contribute to weakness or hypermobility at any point. Individuals may collapse more heavily at the rear of the foot due to tight gastrocsoleus muscles relying on the proximal subtalar joint (which runs more in the frontal or side to side plane than the sagital or front to back plane) rather than the talocrural joint where you normally get dorsiflexion/plantarflexion. Others may collapse at the midfoot due to joint hypermobility there or (more likely) poor eccentric and motor control of the posterior and/or anterior tibialis muscles and intrinsic muscles of the foot and arch (among the many being the abductor hallucis longus). A surprising number of individuals will also collapse at the forefoot due to poor eccentric and motor control of the fibular longus and other instrincis of the foot. And then we have all the compensations for abnormal joint positions, congiential conditions and so on. The feet are complicated, so it is far better to attempt to work with them than against them. I really like that Skechers uses the arch shaped design in what feels almost like a wedge format where your foot is eased into the support. This may have to do with using Resalyte at a slightly firmer density without being too drastic to guide the foot rather than forcing it to do things with hard plastic or dramatically firmer midsole materials. This again contributes to the feeling of mild support rather than heavy duty Brooks Adrenaline/Nike Structure/Asics Kayano etc support but also contributes to the extremely smooth ride of the shoe. That's what happens when you integrate stability into a shoe very well and it guides the foot rather than forces it to do things. In fact, some people may not even feel the support due to softer foam used instead of a rigid piece. That being said, as a physical therapists I should remind you that you should never really fully on a shoe to provide you support and should be working on your foot, ankle and leg strength continuously. Overall I have really enjoyed this shoe as a high mileage workhorse. 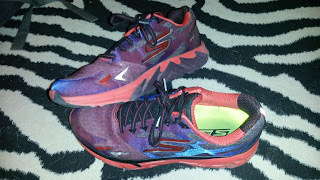 It has been one of the most durable shoes I have run in and I am very excited for future versions. I very much appreciate the application of their support system and hope to see more thinking outside the box like this. I do wish the shoe was lighter (closer to or below 10 ounces) and that the heel/forefoot were more balanced. I am sure those issues will be taken care of and the GoRun Forza will continue to be a great shoe in future versions. Good job Skechers Performane and I look forward to see what continues to come out of the Southern California brand. Fun fact I only live a few miles away from Skechers HQ right now as I am on my final clinical rotation of DPT school in Hawthorne, CA. Haven't run by yet but hope to soon. These shoes were purchased for $65 on Ebay. I put at least 75 miles on every pair of shoes before I review them (except racing flats which I put on at least 25 miles). Currently I have over 300 miles on my pair and have retired them.